You get a chance to improve your handwriting. 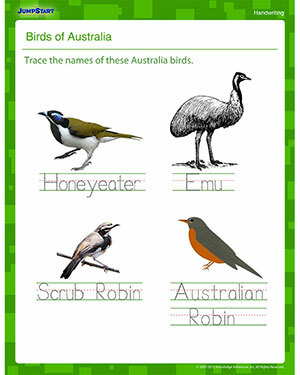 You learn about native Australian birds, their names and what they look like. You learn and have fun at the same time. So what are you waiting for? Get this free printable handwriting worksheet today and get started! And don't forget to check out these fun coloring worksheets for kids as well!